across the world of men. Hope everyone is both enjoying the long weekend and doing some reflecting on Memorial Day! As does happen here in Reno, we went from rain (and some snow!) on Friday to sunshine and 70 or so degrees two days later (and 90 by this Thursday). There may be many things that are boring, but Reno weather isn’t among them. In other respects, the last few weeks have felt somewhat like trudging through a field of mud: expending great effort and traversing very little ground, all the while making a great mess of myself. I recently went over a week without reading a page, perhaps the first time I’ve done that since I was a teenager. Fortunately, the drought didn’t last. I eased my way back in by reading short selections from a couple of books that have stimulated me in the past, such as Phil Cousineau’s Stoking the Creative Fires and some of Joseph Campbell’s works (especially the first one I read way back when, Myths to Live By). At least temporarily, it seems to be doing some good. But I’m not making any promises I can’t keep. 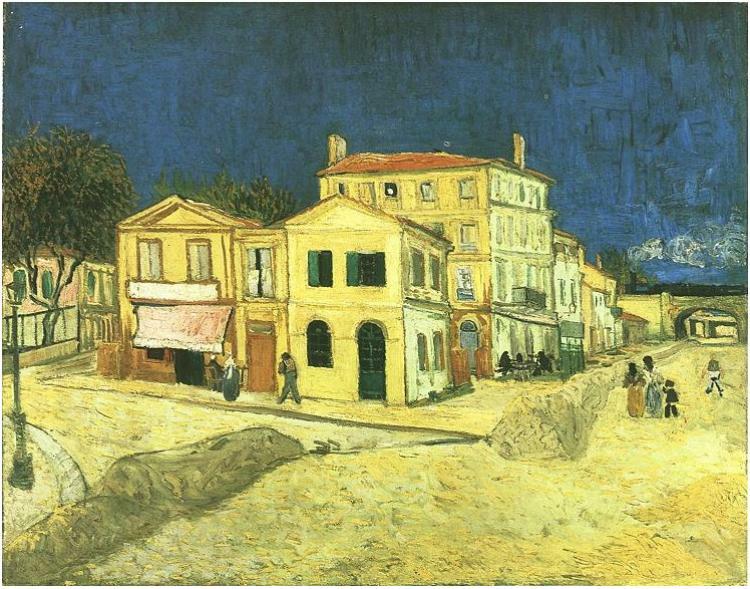 Van Gogh arrived in Arles in February 1888. 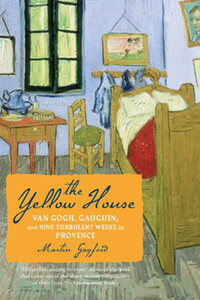 In May he moved into the Yellow House, and almost immediately started planning for visitors, especially fellow artists who would, as he imagined it, come together to collaborate and form a new artistic community. Gauguin was the artist he courted most enthusiastically. Why had Van Gogh settled in Arles in the first place? Partly because the surrounding landscape, much of it flat, reclaimed marshland, would have reminded him of Dutch landscapes. 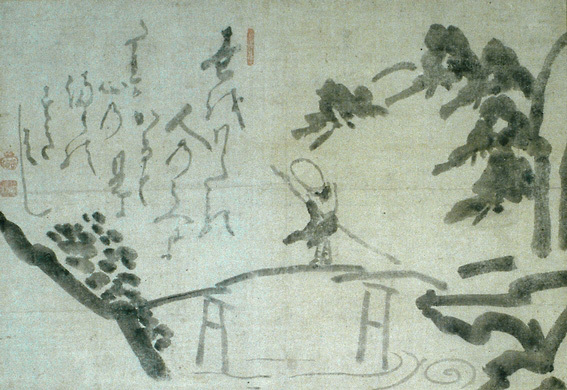 Also, he craved the warmth of the south, as well as the clear light that, he felt, gave colors the brightness and flatness of his beloved Japanese prints. 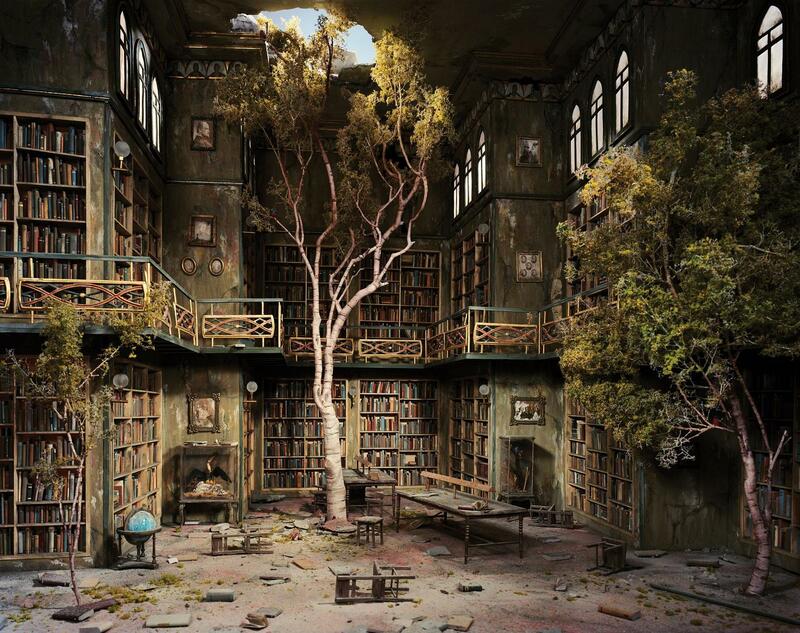 Lori Nix, Library (2007). From lorinix.net. 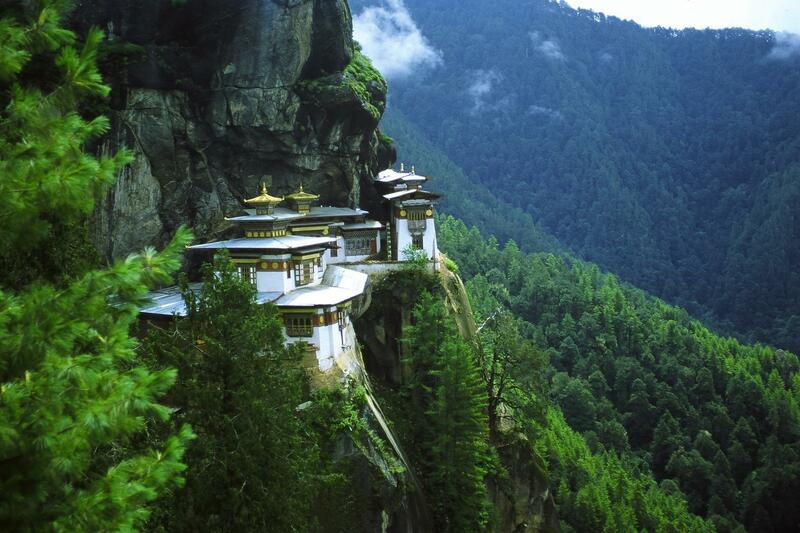 Taktshang Goemba (Tiger’s Nest) Monastery, Bhutan. Photo from before-you-die.info. It would appear as though my blog is going to continue after all! To some extent I’ve been marking time the last couple of weeks, seeing if my motivation would return. Thanks to all those – Scott, Brian, Sandy, Mark, Dave, and Jayne, among others – who have provided me the encouraging words that helped bring the motivation back. Will it remain? We’ll see. The past week’s main accomplishment was the completion of A Brief History of Ireland by Paul F. State. As usual, what I wrote about it can’t decide if it’s a book review or a Wikipedia article. Actually, I did steal one fact from Wikipedia for inclusion in the review: the four Irish winners of the Nobel Prize for Literature. Can you name them? If not, you’ll find them here.